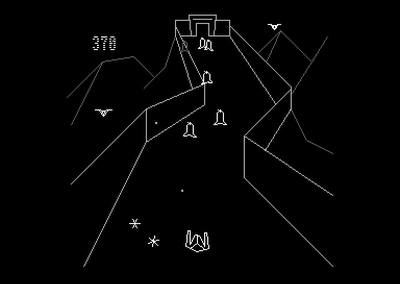 Originally released at Breakpoint 2009, TRSI's C64 conversion of this Vectrex exclusive title remains one of the highest scoring games on the Commodore Scene Database - and for good reason too. 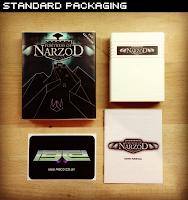 Fortress of Narzod is an amazing little vector-based shmup that is quite unlike anything else on the C64, with its bizarre array of enemies, bullet-ricochetting blast 'em up action and unique visual style. A long time ago, before our history began, wizards - both good and evil - battled for supremacy of the earth. It was a time of magic and adventure when all men possessed special powers. 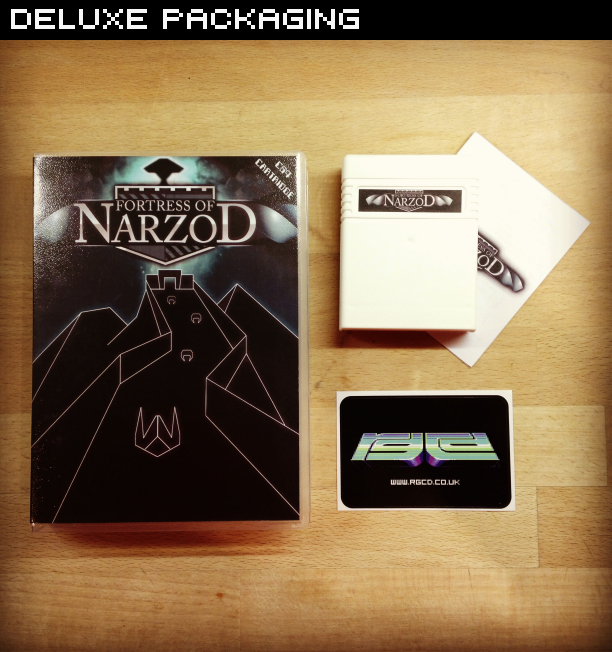 The most evil wizard, Narzod, gained the power to enslave all mankind. You are the only remaining honourable wizard with the knowledge to harness all the forces of good to defeat Narzod and destroy his sinister fortress. But Narzod has prepared for your approach and guards his realm with deadly creatures of darkness, including the Mystic Hurler. Beware, and approach the Fortress of Narzod with great caution! Joystick port 2 - Moves your hovercraft. Button port 2 - Fire. F7 - Pause game / Restore or F1 - Reset game. 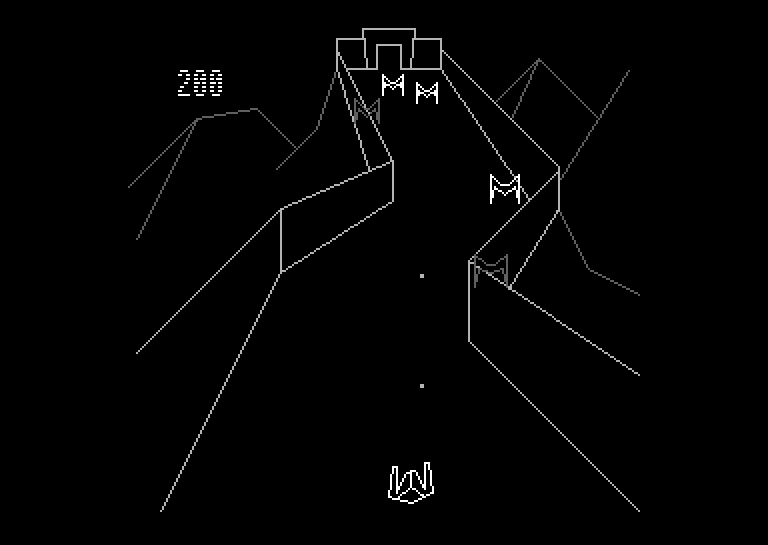 Your goal in the Fortress of Narzod is to successfully travel a series of three roadways leading to the Fortress then destroy the powerful Mystic Hurler who acts as guardian to Narzod himself. Once the Mystic Hurler is destroyed, the Fortress of Narzod and all the evil it contains will disintegrate before your eyes. 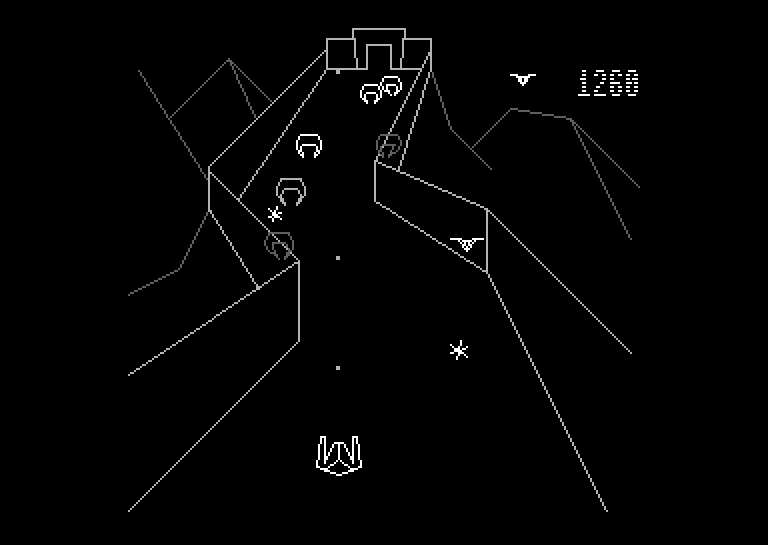 As the game begins, you find your hovercraft at the base of the Lower Roadway. You have been sighted by Narzod and he immediately releases his lead guardians - the DoomGrabbers. Like all other guardians of the fortress, they will randomly release deadly Spikers which will destroy your hovercraft on contact. (Contact with any of the guardians will also destroy you.) Use your joystick to move your hovercraft and push button to activate the blaster in an attempt to destroy DoomGrabbers and their Spikers. 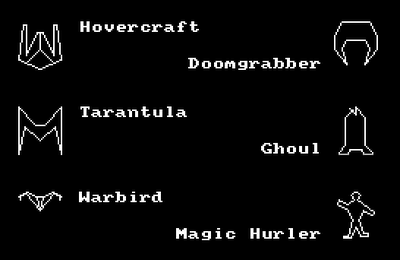 After destroying all DoomGrabbers, you must face the Tarantulas, then the Ghouls. 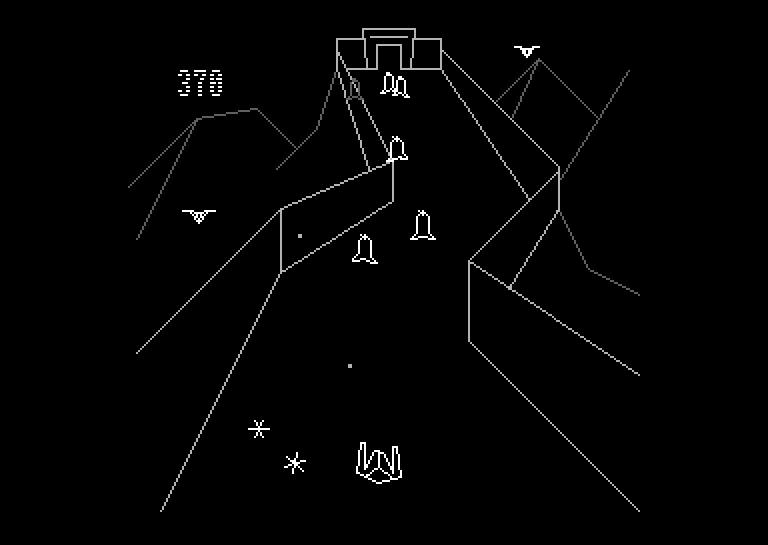 On the Middle Roadway, you will face the same types of guardians, however Narzod will send them in greater numbers. 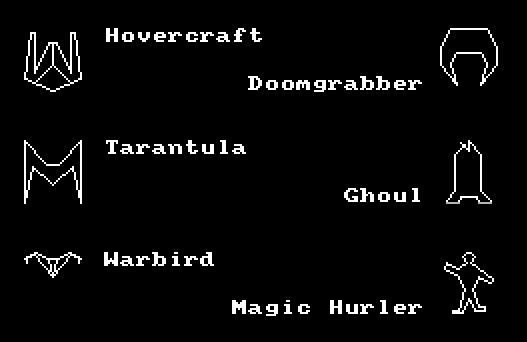 You will also face one more challenge - Warbirds will accompany each wave of DoomGrabbers, Tarantulas and Ghouls. The Warbirds on the Middle Roadway can only harm you if they are allowed to make contact with your hovercraft. You can also use them to your advantage, blasting them while they are directly over the roadway. When blasted, they will act as shields from the guardians' Spikers. However, they will only shield you for a short amount of time and will eventually disappear. You will again face the same types of guardians as you have on the previous roadways, only in even greater numbers. 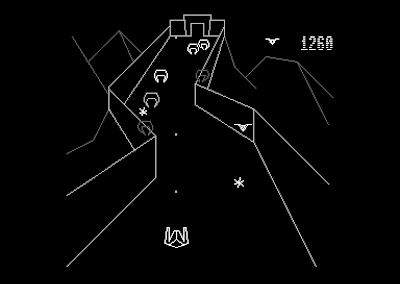 As on the Middle Roadway, you will also face the Warbirds. However, the Warbirds on the Upper Roadway will fire upon you with bullets if they come within range of your hovercraft. 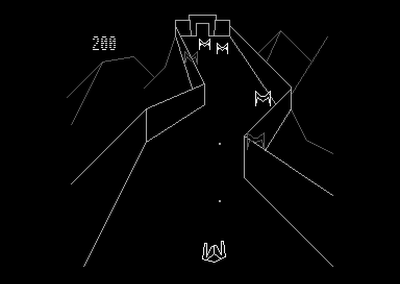 If you are able to destroy all three waves of guardians on the Upper Roadway, you will be allowed to pass through the final guard tower into the Fortress of Narzod itself. Upon entering, you will find yourself face-to-face with the Mystic Hurler - a creature so evil, even Narzod himself trembles in fear. The Mystic Hurler will aim an unlimited number of Spikers directly at your hovercraft and on either side of you to ensure that you will not progress any further. In order to destroy the Mystic Hurler, you must hit it with your blaster SIX times. You are provided with six hovercrafts per game and unlimited ammunition. One extra hovercraft is earned for destroying the Mystic Hurler or every 10000 points. Nine extra hovercrafts are the maximum. 1) Contact with one of the guardians or their Spikers. 2) Contact with one of the Warbirds or their bullets. 3) Contact with bullets from your own blaster that have ricocheted off the Roadway's walls. All of the guardians to the Fortress of Narzod are under the spell of the evil wizard. Their only goal is to destroy an unwanted visitor to the fortress. They will move back-and-forth randomly across the roadway as they approach your hovercraft. Each guardian can hurl one Spiker. Their Spikers may be thrown at any time and at any downward angle. 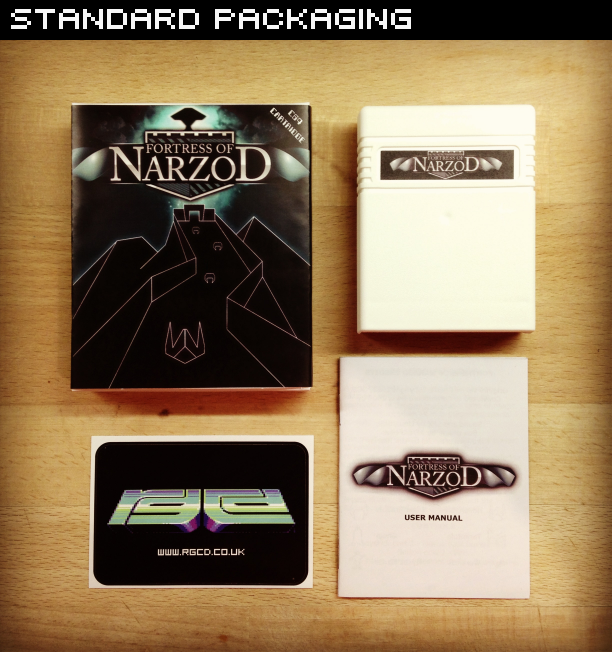 The Warbirds are used as a secret and unpredictable weapon by the evil Narzod. On the Middle Roadway, they can only cause you harm if they come into direct contact with your hovercraft. On the Upper Roadway and beyond, Narzod arms the Warbirds with powerful bullets that will fire directly at your hovercraft if they are not destroyed or avoided. Remember, you can use all Warbirds to your advantage as shields from the guardians' Spikers. Mystic Hurler – 10 Points per hit. Below is a video of Fortress of Narzod running on a C64c with 8050 SID chip. It shows the Lower, Middle and Upper Roadways being played. 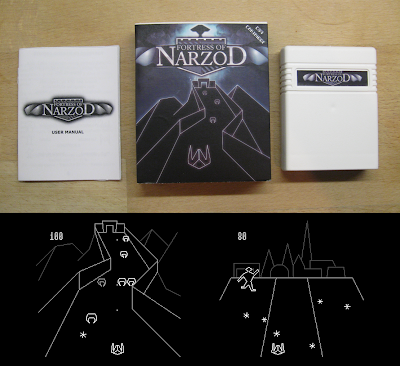 The C64 conversion of Fortress of Narzod is a TRSI production, Copyright 2009-12. 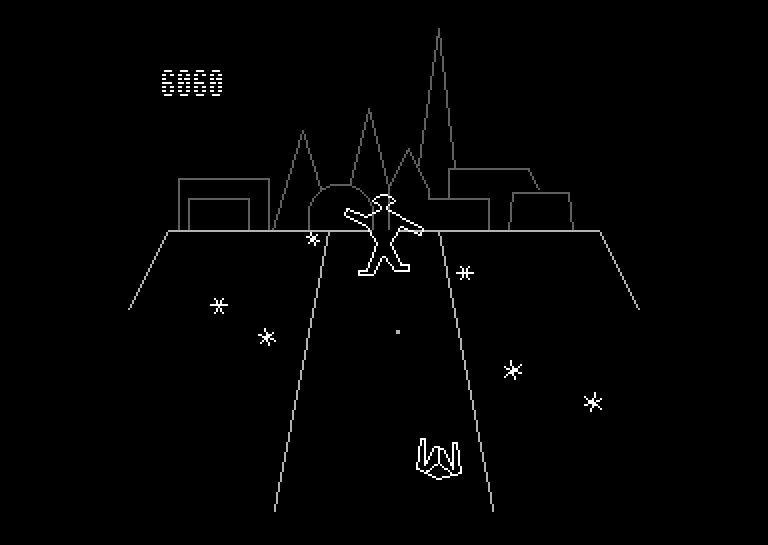 Based on an original Vectrex game by GCE, Copyright 1982. Through negotiating with Jay Smith of Smith Engineering/Western Technologies (via his son Spencer), RGCD finally have permission to sell the Commodore conversion of this classic game from our shop on physical C64 cartridge. The snow-white cartridge is packaged in a box designed by Kay Failla of BitFellas and comes complete with a printed manual. 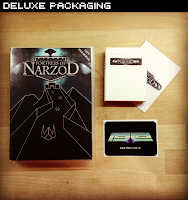 The cartridge version is available in two packaging types, a standard card carton and a more expensive 'deluxe version' that comes in a plastic case (a Universal Game Case with a specially cut foam insert to hold the cartridge). The standard version is priced at £17, whereas the deluxe version costs £22. Shipping is £4 for UK/Europe and £5 for the rest of the world. Yes, but the NTSC fix cannot fit within 16KB sadly.